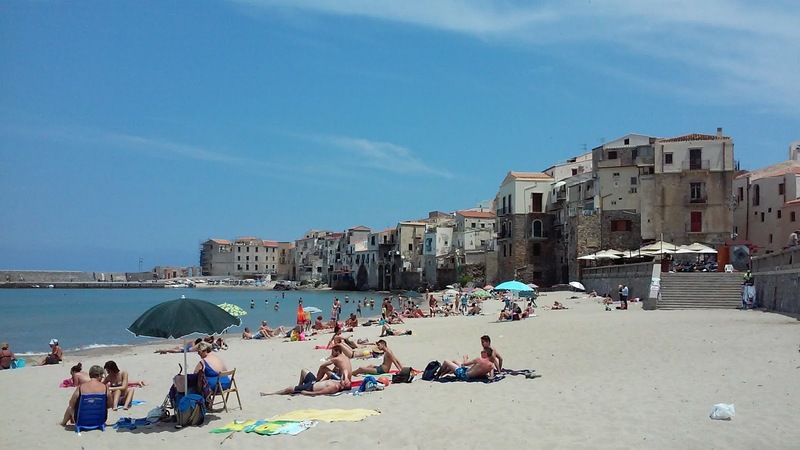 The first stop on my recent trip to Siciliy was the sleepy medieval village of Cefalu. It hasn’t changed a lot in the last 500 years. It wasn’t built for cars and it’s an unpleasant place to drive one. Ever since it was founded, centuries back into BC, people have laid on the sandy place where the Tyrrhenian Sea kisses the island, soaking up the sun and going for a swim. 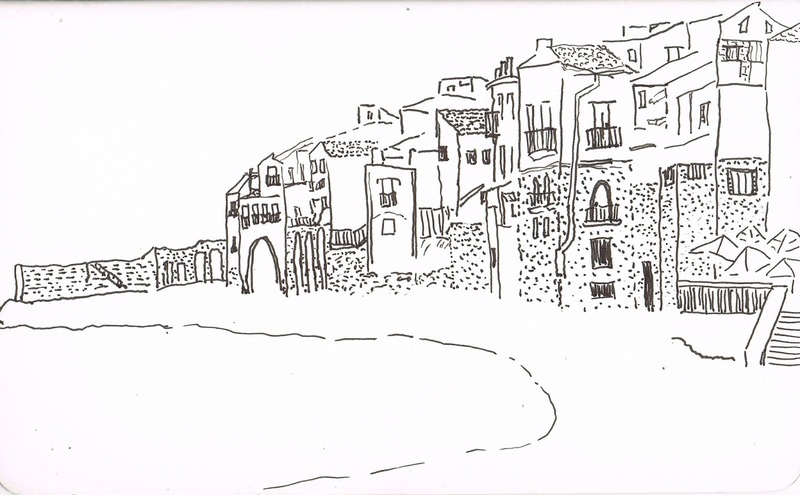 I compacted the view of the town from the beach to fit it into this drawing. I had to demolish five or six fine buildings so I could get the wall that reaches into the sea in my sketch. The beach is a great place to sketch because the brilliant sunlight allows the artist to see details of the subject with an unusual degree of clarity. 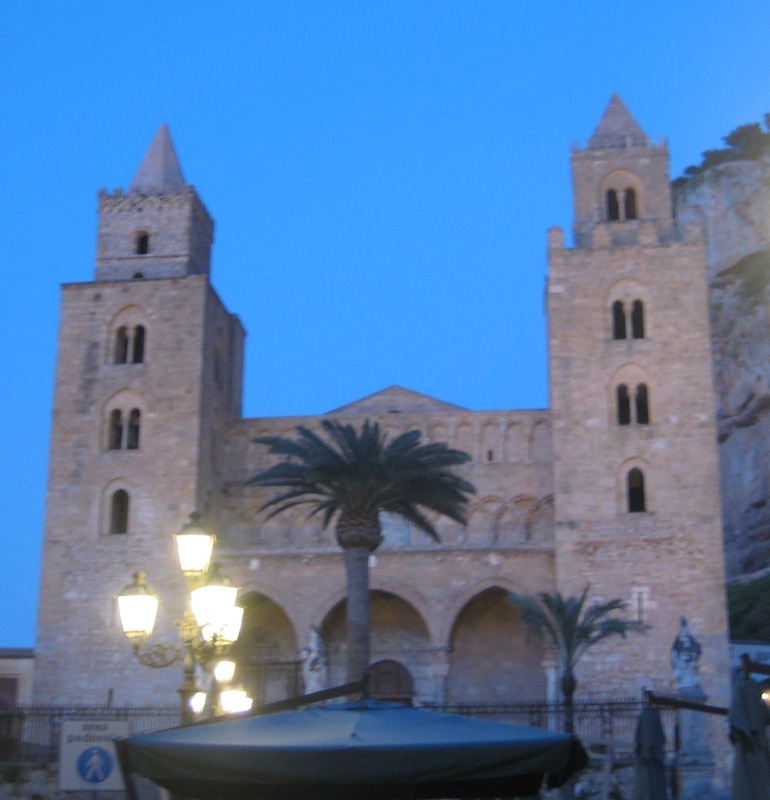 In 1131, the Normans began construction on the cathedral that stands at the center of Cefalu today. 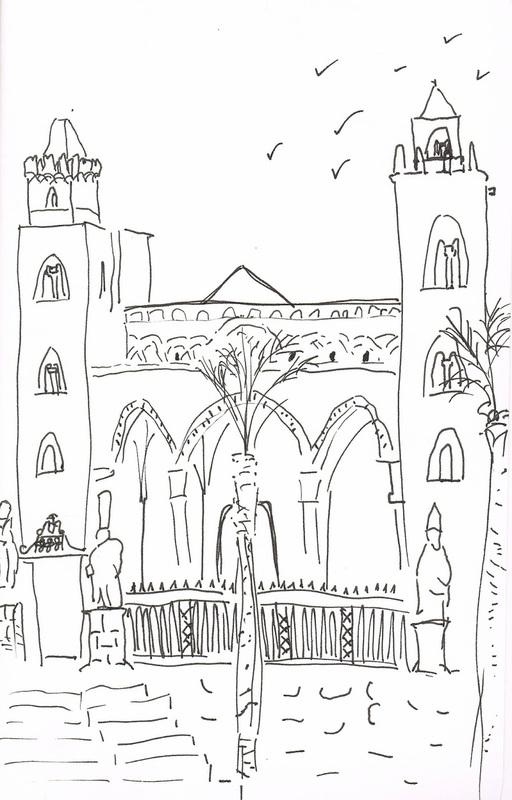 I sketched it at night, after a few drinks, so the clarity isn’t as pronounced as in the previous drawing but there’s a fluidity to the lines that might be more appealing to some, what with beauty being in the eye of the beholder and all. 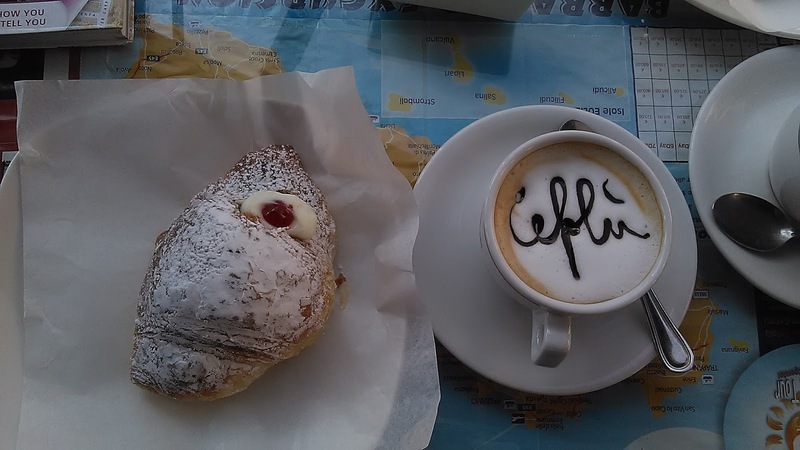 Any artist seeking inspiration can find it by the boatload in Sicily. The natural beauty of the mountain and the seas (in two weeks I swam in three – the Tyrrhenian, Ionian, and Mediterranean) is matched by the monuments of man. Then there’s the food.